For three generations the Rudy family has been synonymous with fairness, integrity, expertise and service. Manuel Rudy began the tradition of excellence which was maintained by his son Ellis, and is currently being carried on by his son Russell. For three generations investors, care givers, estate planners, trust officers, financial advisors and energy professionals have realized the family’s commitment to fairness and integrity. Our success is based on the simple premise that a deal is a good one, only if both parties benefit. This philosophy has served us well and is the cornerstone of our success. With engineering, legal and accounting expertise in house we can quickly respond to clients with sound advice and fair, prompt offers. Your questions are our priority, and we will walk you through the process, step by step, from initial inquiry to conclusion. 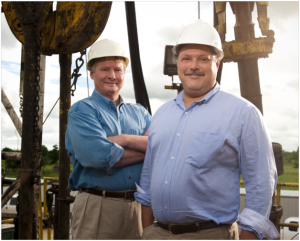 Over the years we have dealt with almost every conceivable type of oil and gas and mineral interest across the nation. Consequently, you can expect insightful, prompt and courteous service from our entire staff. To get the process started, give us a call (800-880-0940), send us an e-mail (info@rudyenergy.com), or simply click the button below. Russell is a native Texan who grew up in Houston. He came to know the oil and gas business through his grandfather and father who both acquired oil and gas properties in Texas and nation wide. He received his BA from The University of the Pacific, including under-graduate work at the London School of Economics and UC Davis. After receiving his law degree from the University of Houston in 1983 and practicing briefly, he began buying oil and gas interests with his wife Kathy. The company they formed was called Russell T. Rudy Ltd, and they expanded their acquisitions throughout the United States. With over 30 years of experience and his expertise, he is able to evaluate and close on interests with complex probate, title and transfer issues. Russell is an active member in the State Bar of Texas Oil and Gas and Probate Divisions. In addition to acquiring oil and gas properties, Russell also manages the oil and gas holdings for a number of individuals, entities and family groups. Russell and Kathy have two children; a son who is in law school and a daughter in college. Russell enjoys collecting antique books, writing fiction, fishing and the outdoors. John has more than thirty-six years of experience in domestic oil and gas exploration and production operations, management, and petroleum engineering consulting. He has extensive experience in the petroleum engineering of conventional and unconventional oil and gas reservoirs in most of the major domestic oil and gas producing basins. He is actively involved in the technical evaluation and economic valuation of oil and gas plays for universities, operating companies and private equity providers. He works with Harvard University, University of Pennsylvania, University of Virginia and Wells Fargo Energy Capital, in addition to supplying expert testimony for the U.S. Department of Justice, Expert Witness Section. After receiving a B.S. in Petroleum Engineering from the University of Missouri at Rolla, John began his oil and gas career with Shell Oil. He also holds an MBA in Finance and an M.S. in Petroleum Engineering from the University of Houston. John is a registered Petroleum Engineer in Texas and Louisiana. John and his wife Melanie are avid outdoorsmen and enjoy spending time hunting and fishing with their four grandchildren.